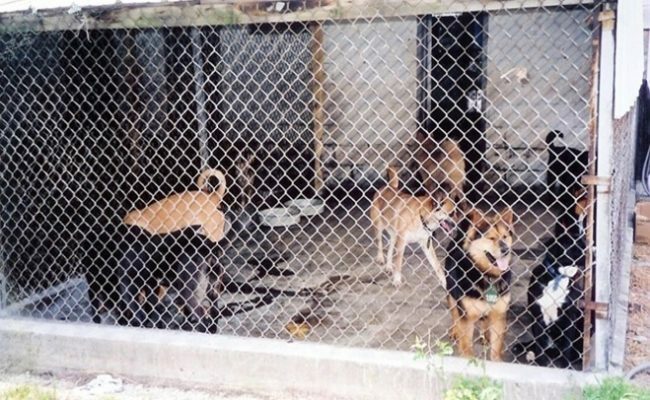 The Foundation was originally formed to improve the shelter facility. We have come a long way and in addition to continuing to provide funds to improve the facility, we also provide funding for low cost adoptions, animal enrichment activities, and much more! When this new facility opened, both of the former dog pounds closed. 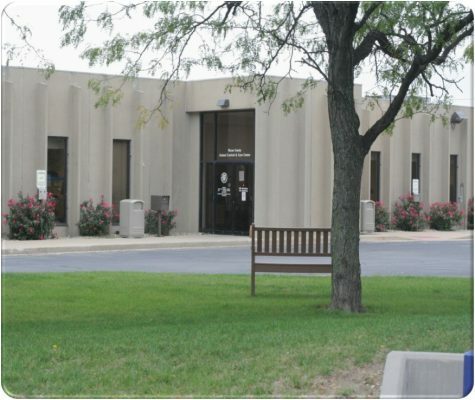 The new facility was in a remodeled garage which was used for the repair and maintenance of county vehicles. 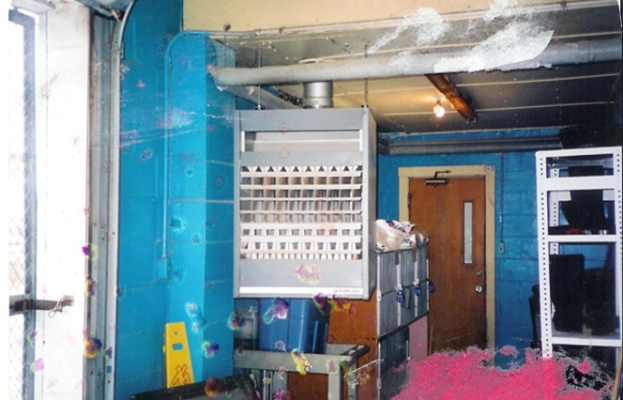 The building had no central heat and very little ventilation. A group of concerned citizens tried to raise money for a new facility in 1952 but were unable to. For the next five decades, concerned citizens could not raise enough funds. 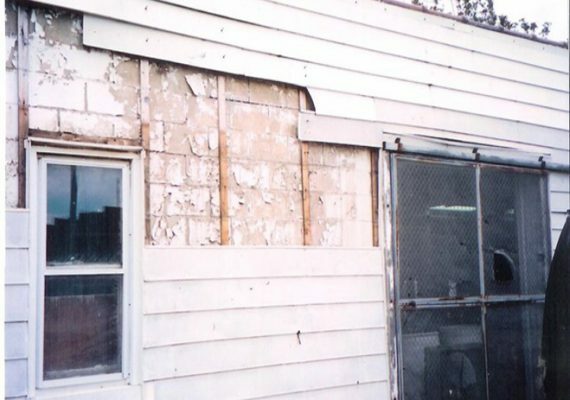 By the late 1990s, the county animal shelter had a reputation as one of the most physically substandard animal shelter buildings in the country. Note the open door leading to inside the group pen. Temperatures inside the building were the same as the outside. Rodents could freely enter through large holes in the walls. This ceiling hung space heater was the only source of heat in an area where about 100 animals were housed. The cages by the door housed stray cats. 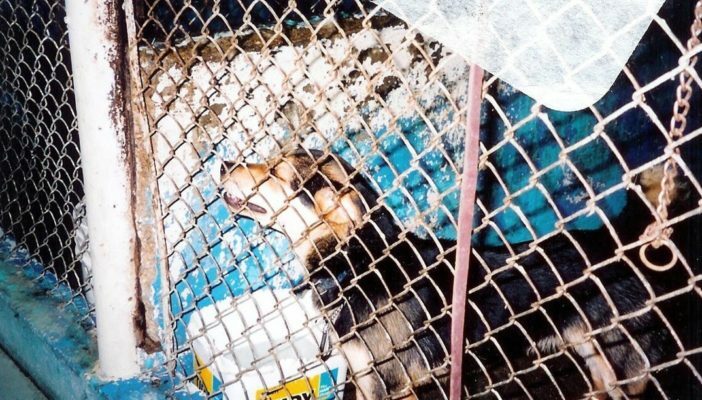 Inside a group dog pen you would find rusted cages, paint coming off of the walls, empty litter pails used as water bowls. Cracks in the concrete floor harbored bacteria and debris. DMCASF was formed with the purpose of raising money to build a new shelter. Plans for a shelter were drawn up. The county appropriated county owned land on Mound Road for the project. A feasibility study determined that $3 million would be required to build a new facility. Dr. Meriwether set up a trust in 1941 to be used for a facility which would furnish care for the stray animals of the community. Through private fundraising, DMCASF raised $650,000 that would be donated to a new facility. $350,000 of DMCASF's commitment came from the Tyler Meriwether Trust. In 2005 an existing building, which was for sale, was examined for the possibility of remodeling to become the new shelter. A bond re-issuance for $1.2 million made it possible for the Public Building Commission to become the owner and begin remodeling. The grand opening was on April 12, 2006. After more than fifty years of working toward a new shelter, there became a facility of which we can all be very proud. The citizens of Macon County had wanted a new animal shelter and came out to show their support. Through the generosity of DMCASF donors, a brand new cat room is added to the shelter. Up to 15 cats can freely roam and socialize. Visitors and volunteers can interact with the cats and hopefully adopt their new friend. Donors provided funds to convert the visiting room to a real life room for dogs. Dogs have the opportunity to relax in a quiet environment, stretch out on the couch or plush dog bed, or visit with potential adopters and volunteers. Funds raised by DMCASF provide fun enrichment for the pets who call the shelter home. Funds raised by DMCASF provide hours of fun for the dogs. Two play structures were added to the outdoor runs. 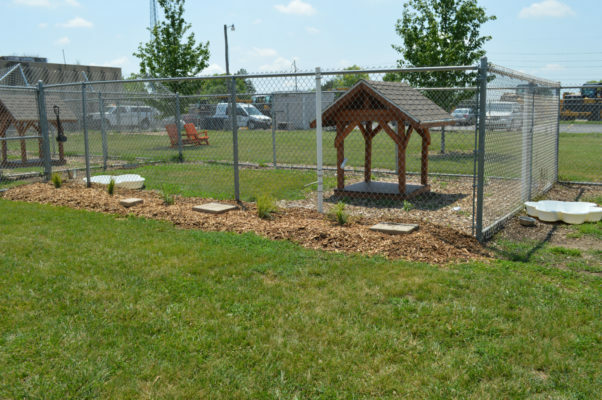 Funds raised by DMCASF provide a place for the dogs to play and cool off on hot summer days outside. Playing outside and splashing in a pool helps to exercise the dogs. Tired dogs are happy dogs! 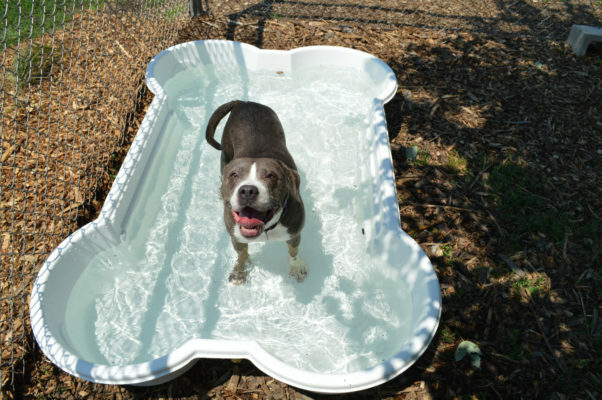 The new dog pools will last through many seasons due to their durable and chew proof qualities. 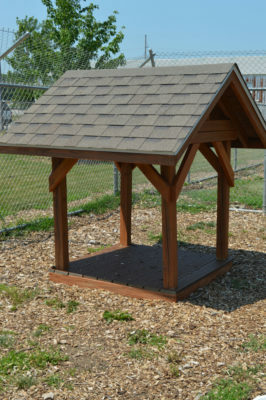 Funds raised by DMCASF allowed these wonderful shade structures to be re-roofed in order to provide a respite from the hot sun. Foundation volunteers spent many hours re-staining the Dog Houses to prolong their outdoor life and keep them in good condition. Funds raised by DMCASF provided for the repair of several outdoor runs. Repairs and maintenance included having a drainage ditch installed to handle water runoff so that the dog runs do not become overly muddy and lose grass. New grass and water absorbing mulch were also planted.